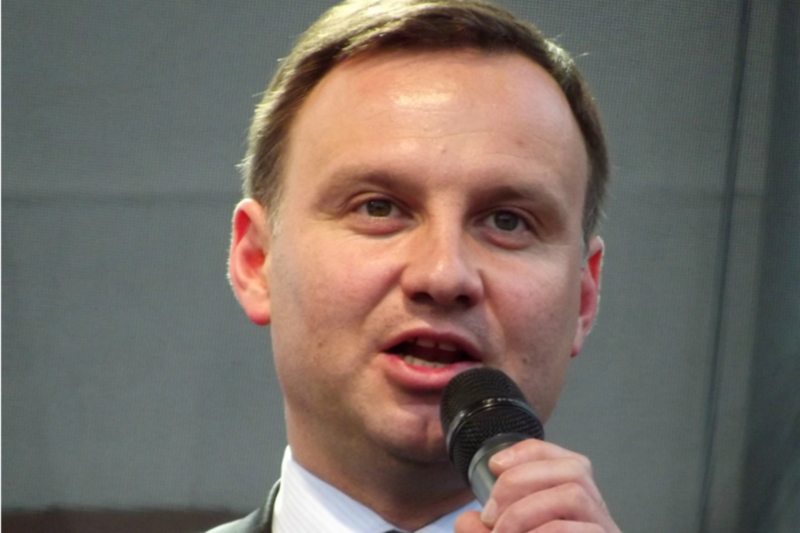 Polish President Andrzej Duda will visit Brussels on 18 January following a planned European Commission debate on the rule of law in Poland, whose government has sparked concern by pushing through controversial changes to the judiciary and media. Duda, a former MEP, is backed by the conservative and Eurosceptic Law and Justice (PiS) party that came to power in October after eight years in opposition, and which has alarmed rights watchdogs and the EU’s executive by trying to take control of any organ that could keep it in check. In Brussels, Duda will meet with European Council President and former Polish Premier Donald Tusk, as well as NATO Secretary General Jens Stoltenberg, presidential advisor Krzysztof Szczerski told the Polish news agency PAP. He said the trip had long been on the agenda and is unrelated to any recent developments in the member state. Instead, Duda will discuss this year’s NATO summit in Warsaw with Stoltenberg, as well as Britain’s potential departure from the EU, and energy policy, with Tusk. The Polish press reports that Duda will rise the issue of the Nord Stream 2 gas pipeline, a divisive issue for the Union. But the visit will take place just days after the 13 January European Commission debate regarding the state of the rule of law in Poland. Led by Jaros?aw Kaczy?ski, the PiS party has wasted no time since returning to power, introducing legislation reforming the country’s constitutional court, and giving the government power to directly appoint the heads of public broadcasters. Under the proposed media law, which Duda still needs to sign, senior figures in public radio and television will be appointed – and sacked – by the treasury minister, and no longer hired by the National Broadcasting Council, calling into question the journalistic independence of state news broadcasting. Late last year, Duda already succeeded in passing a law reforming the constitutional court, despite mass protests and claims by the opposition that the changes threaten judicial independence. The moves have prompted escalating warnings from the European Commission that it could intervene, including two letters from First Vice-President Frans Timmermans, asking Warsaw for information. The Council of Europe, the continent’s top human rights watchdog, also urged Duda against signing the proposed media law. Council of Europe Secretary Thorbjørn Jagland sent a letter to Duda, expressing his “particular concern” over the new media law, and invited him to “open a dialogue” with his institution, in order to provide “the best possible basis” before signing this law into act. Polish Foreign Minister Witold Waszczykowski for his part told public radio Tuesday (5 January) that the EU’s representative in Warsaw would be invited for a talk to clarify the European Commission’s recent appeals to Polish leaders.